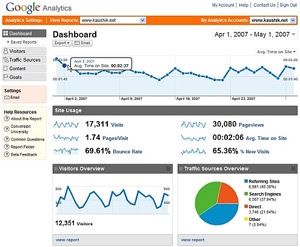 Google Analytics is a free web metrics service provided by Google. It’s incredibly easy to set up, and people go wild for the interactive, data-rich interface. Unfortunately, most website owners don’t read the terms of service. That’s not a ‘please, if you could’. It’s a ‘you must’. And honestly, it’s the right thing to do. Your visitors hand over anonymous data which has value to you. It’s only fair that you tell them (or even better, give them a chance to opt out).